Yes, all my Simutrans contributions are open source, creative commons, public domain even. Very nice indeed! Although the one that you call "Macadam" is actually tarmac ("tar Macadam") - the plain Macadam surface is, in effect, the same as the "dirt" road of the normal Pak128.Britain. Is it possible to have a version in this colour/texture, too? Here's an in-game preview. There are a couple of graphical glitches - could you look into these please wlindley? (some stray brown pixels still and some overlap problems). I will still release as is as I am going away for Christmas soon, but if I could have a fix later that would be great. anyone who's well acquainted with google sketchup? I've made a few more bridges, but not fully painted or entirely sure how to make them look like a pakbritain image rather than a pak192 comic. I'm pretty sure I set the 'isometric' viewing cube properly so it's all a matter of cutting the bridges down to a proper size for front/back images. steel lattice wasn't the proper file, but it is now. The easiest way to get them to look like pak128.Britain bridges is to get them in blender and use the same blender setup as for all the existing bridges. It is possible to import a .dae file from sketchup into blender, so I'd suggest doing it that way. I think you already have the bridge blends, so I'd use those as a template. unfortunately I can't quite figure out how to use blender, which is why I've resorted to sketchup. I've made some progress with sketchup. I can now make them look like a pakbritain image, the only issue I have now is getting the slope angle correct for the ramps. I'll consult the blender bridges to try and get the angles off of those. What I have found easiest is to load existing graphics in Blender then modify them, rather than create things from scratch. If there's anything specific you want to ask blender-wise, I can try and help, but if you're getting good results in sketchup, then that's fine too. thanks for the offer of help, The Hood. I think I have figured out the scale/slopes template for sketchup. how's this Iron Bridge? maybe a slightly different colour and better textures? I'm impressed so far - but should be interested to see how well that it scales to 128x128 tiles. Also - best turn off the shadows when exporting. well, the shadows on the transparency blue can be cut out before resizing and the blue is only there so that the pictures can be scaled properly. It just doesn't look like a simutrans isometric image with no shadows in sketchup. I think I might have done the rotation wrong there... oh well, just a draft for now. Looking good, but again I'd agree with jamespetts and say take out the shadows. None of the other graphics have such shadows, only darker/lighter shadings on faces. Try it in game with and without the shadows next to other bridges, and you will see what I mean. 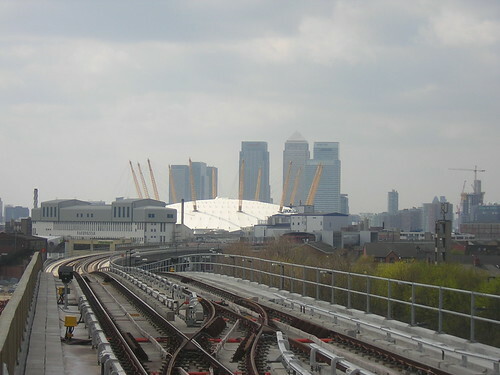 Hi TheHood, I see from your post in 'help' you've made an elevated rail way, just found myself curious which kind... south london type brick viaducts, Liverpool Overhead Railway, Docklands Light Rail ... ? Excellent, that will be quite an improvement for urban rail, I look forward to seeing that in-game! Just an idea - maybe it's possible to do the clever graphical-merge-thing as with the pak-gb platforms, where adjacent tiles alter/merge when the next is added - could a similar trick make parallel single viaducts appear as one 'double viaduct'? It's now possible with tunnels I believe, but I'm still hoping for someone to code up something similar for bridges. Until then though, this is what we've got. That still looks good, though, even like that. I like how the island platform covers the gap! Excellent! A major advance for Pak128.Britain! I believe this version of the viaduct file removes the extraneous bright pixels. I'm not set up to remake the pakfile here, could someone check please? There are also some remnant brown brick pixels on quite a few views that could do with being removed if you get time. OK... updated once more. The main difference should be removal of had been partially-translucent pixels that turned into light blue. Also reduced toward grey, most of the brown bits. Hmmm, still not 100% but I think I've managed to patch up the differences now. A little tip - I usually pick a completely different colour (e.g. bright green) and replace all #e7ffff background with that, then any non-#e7ffff shows up nice and clear and you can zap them. Just discovered this one in gameplay. In pak128 standard, there is a lift-bridge, for both rail and road, which works on the flat. It works over canals and also rivers. It, or an equivalent, seems not to yet be included in pak.britain, or yet have been replaced with something else. That's a bit of a gameplay issue, I've just discovered, albeit one corrected by borrowing the bridges from standard pak128 (copying "way.crossing.all.pak" does the job). Wanted to mention it to make sure it's on the to-do list somewhere. I assume it's a fair way down (probably right next to gated level crossings). It occurred to me that perhaps a bascule graphic might be the best for pak.britain, since a swing bridge would probably require more space to 'pivot' than a 1x1 tile graphically affords. It also occurred to me that if the game can distinguish between navigable and impassible rivers, there could be a different, unchanging, graphic for fixed on-the-level bridges. But that's probably more work than necessary. Yes they are missing, but low prioirity. One issue in the code is that it is currently only possible to have one crossing between any two waytypes, so there is no way of distinguishing between passable and impassable rivers, or doing different points in the timeline. Game generated auto-rivers, yes. Rivers drawn on user-made maps, only if you carve the channel for them as well as drawing them on! Didn't think it was quite worth starting a new topic just for this, and seeing as these will also be used as the basis for some elevated ways they're going here. I've now done diagonal roads for each of the 4 road types - not the most exciting I'm sure but a small graphical improvement for long distance diagonals! Actually, this is a major improvement - thank you!